It’s been raining for at least 10 days straight now in Ljubljana or at least I feel like it has been. And especially on such grey, cold, autumn, rainy days, I think we should try and bring a little sunshine in our lives with the food on our plates. 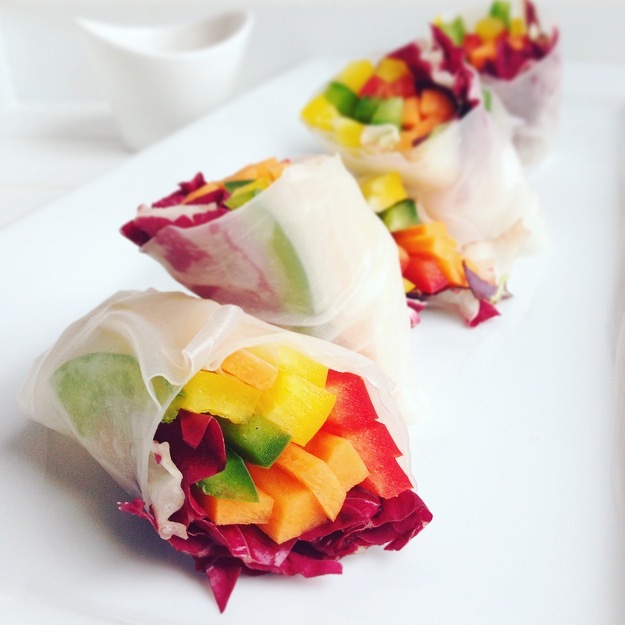 These delicious spring rolls are the perfect way to do it because you can use any color vegetables you like and because they are so easy to make. 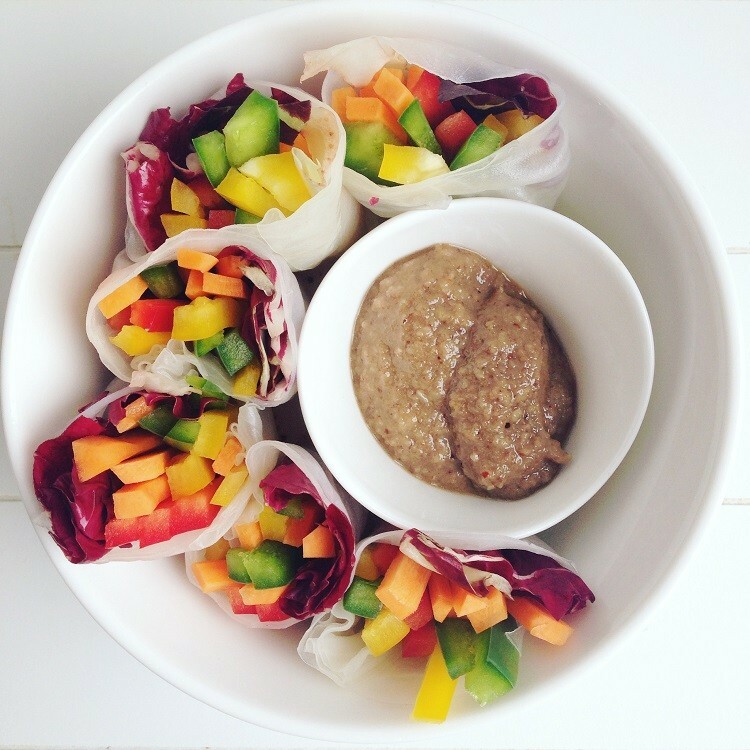 The best part about these spring rolls, though, is the dip which was (again) inspired by Barbarella – Green Chef. Slice all vegetables except spinach and/or radicchio into long thin strips. Pour a lot of warm water in a bowl large enough to fit one rice paper sheet at a time. Place a sheet of rice paper in the water and wait until in softens. That should take around 20 seconds or so. Remove it from the water and place it on a clean (preferably glass) cutting board. Add spinach and vegetables on the rice paper – place them on the bottom third in the middle. Fold the bottom third of the paper over the veggies, then fold from both sides. After that, tightly roll from the bottom to the top of the paper. Cut the finished roll in half as you can see in the picture and repeat with remaining rice paper sheets and vegetables. Place all dip ingredients in a food processor and mix until combined. Serve with the freshly made rice rolls.